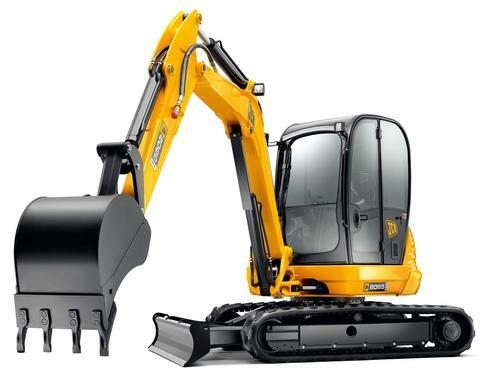 The largest JCB mini excavator is model number 8080. The enclosed cab is made primarily of tinted glass to provide maximum visibility. It is also large and comfortable for the operator, reducing noise and allowing enough room even for larger men. 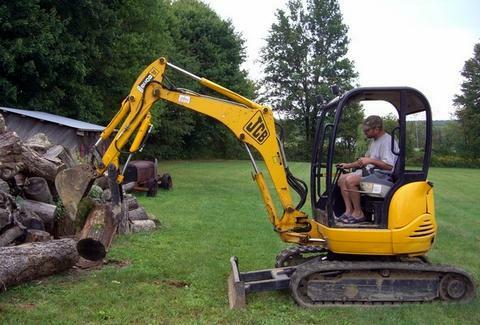 Even in the larger sizes, JCB compact excavators rotate 360 degrees with zero tail swing technology. The water-cooled, 4-stroke, 4-cylinder in-line, direct injection, diesel, turbo-charged and intercooled engine provides incredible power and force to break into harder ground for difficult earth-moving jobs. The JCB company believes in answering to the customer rather than shareholders. The privately owned company makes an investment in research and development to bring innovation to its clientele. Safety, sustainability, quality, productivity, and cost-efficiency of JCB mini excavators are all areas they seek to continually improve. The black and yellow JCB logo has become so synonymous with heavy equipment that many British people refer to a front-end loader as a JCB, just as many Americans refer to facial tissues as Kleenex. The JCB Display Team (Dancing Diggers) tours agricultural shows and creates videos showing off the versatility and safety of the JCB products through entertaining stunts.